Supports for organic farming in Ireland are set to be boosted by 60% through the opening of the new Organic Farming Scheme. On announcing the opening of the Scheme, Minister for State Tom Hayes emphasised that the Organic Farming Scheme is a key support measure that enables farmers to avail of the growing market opportunities that clearly exist for organic food. 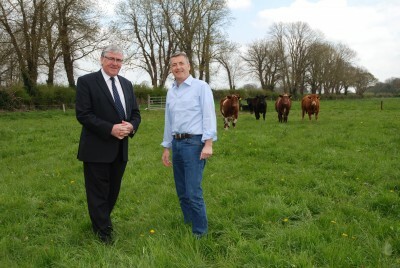 The Minister of State , Tom Hayes made the announcement during a visit to the farm of Mr John Purcell, Good Herdsmen, Organic Meat Processor, Golden, Cashel, Co. Tipperary. The Organic Farming Scheme is an agri-environment measure under the Department’s Rural Development Programme 2014-2020. The Scheme is co-funded by the European Agricultural Fund for Rural Development (EAFRD). 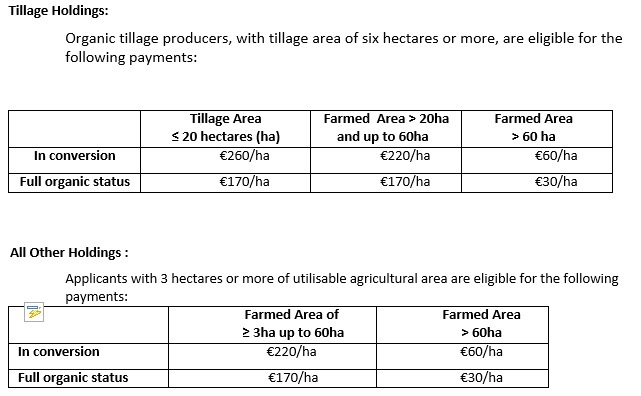 Farmers enter into a contract for a minimum of five years, with standard rate payments of up to €220 per hectare a year during the conversion period and up to €170 per hectare when they have achieved full organic status. Higher payment rates are available for organic horticultural and tillage farmers. The Minister said that the closing date for applications will be May 29, 2015 and that decisions would be made at that stage on the number of applicants that will be accepted into the scheme. 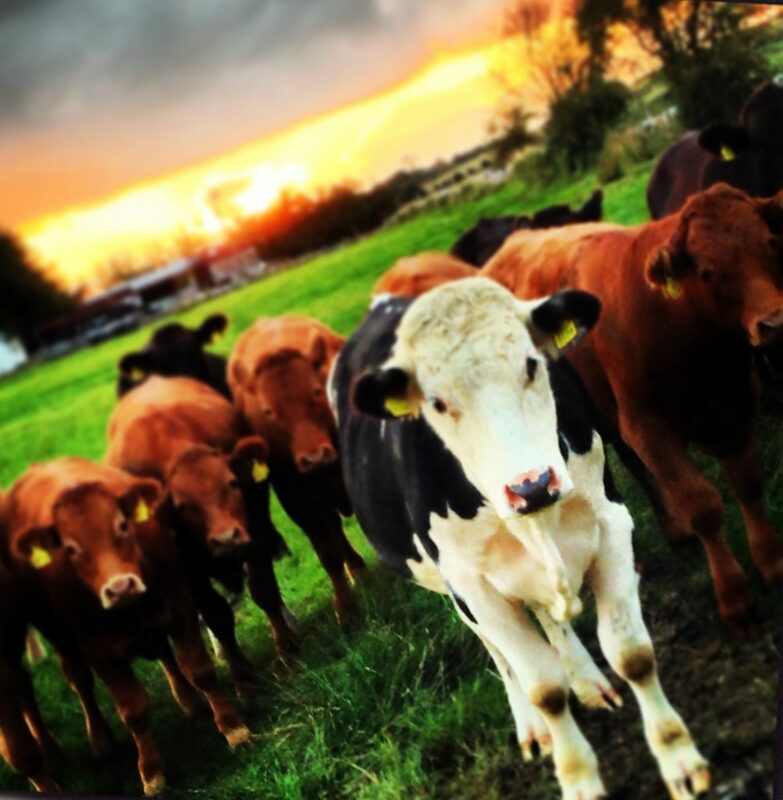 Welcoming the move Gillian Westbrook, IOFGA General Manager stated “we are delighted the scheme has opened and that the environmental credentials of organic production are at last being recognised with a 60% increase in supports. The new support rate puts many grass based Irish producers on a similar support rate their EU counterparts. According to Maher Although there is always room for improvement, especially better use of targeted supports, the new rate will no doubt help grow the sector. Meaningful support is crucial to the development of the organic sector, and with an EU market valued at €23b, Irish farmers have a lot of market opportunities sitting on their doorstep, she said. 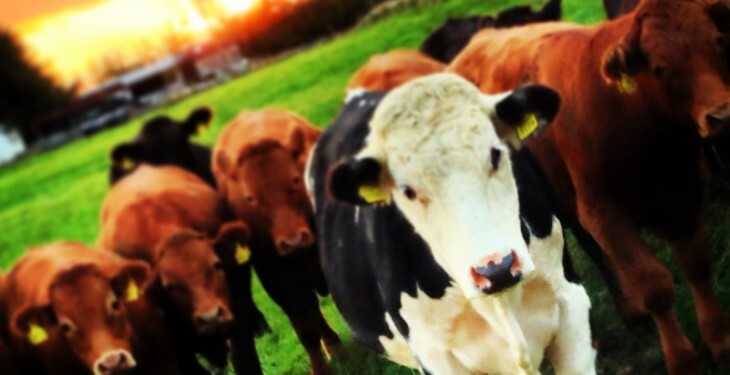 In Ireland 1.3% of land is certified organic, well below the EU average of 5%. In addition there are 10 countries in Europe recording over 10% of their land as certified organic. “There is a new interest in organic production as farmers are becoming more aware of the cost saving potential of the right sustainable agro-ecological system, and organic farming offers just that” said Gillian Westbrook. To assist farmers in the transition to organic production IOFGA is running its Field Talk programme for new members, whereby established organic farmers share their experiences of producing food to organic standards and also explore available options within organic markets. IOFGA are encouraging all new entrants to send in their organic licence application to IOFGA as soon as possible. The closing date for the DAFM Organic Farming Scheme is May 29 and it is an online application form.